The World Cup of Hockey has come to end for Team Finland. The Finns finished last in Group B and for that matter last in the entire tournament. The performance by Finland was surprising, but the flaws on the roster were too much to overcome. The management team put a lot of hope on a young roster that didn’t seem ready. The Finns only registered one goal in their three round-robin games. They were shut out in their final two games against Sweden and Russia showing no offensive firepower. The lone goal of the tournament was scored by Valtteri Filppula of the Tampa Bay Lightning. This goal was scored late in the third period of the opening round-robin game against Team North America. Florida Panthers center Aleksander Barkov was expected to lead the offensive attack for the Finns, but the 21-year-old failed to make an impact in the tournament. In three games, he registered only three shots and was a minus one. Veteran leader Mikko Koivu of the Minnesota Wild registered eight shots in three games but was a minus three in the last two games against the Russians and Swedes. The bright spot for Finland may have been Patrik Laine, the 2016 second overall Draft pick. The 18-year-old showed flashes of his high-end skill set and great shot. Laine registered ten shots throughout the round-robin and was the Finns’ most dangerous player. Unfortunately, he was unable to cash in on any of his chances and ended the tournament with no points. One criticism about the lack of scoring is the absence of 2016 fourth overall pick Jesse Puljujarvi. The 18-year-old has looked good at the Edmonton Oilers Rookie Camp and he would have added skill to a Finnish lineup, one that desperately needed an offensive spark. Sure, it would have been another young player on the roster, but what is one more on a team full of youth. Along with the lack of scoring, defense and goaltending were not very good for Finland. Many showed concern for the defense group heading into the tournament, and they performed as expected. They couldn’t handle the speed of Team North America and Team Russia in particular. They looked bad on numerous occasions and made it too easy for their opponent. The Finns are known as a systematically strong team, but the system broke down routinely, like clockwork. Rasmus Ristolainen, Olli Maatta, and Sami Vatanen showed flashes of good play, but not enough to make a difference. The defense group overall looked overmatched and this should be a concern for Finland moving forward for other international tournaments. Perhaps the most disappointing part of Finland was the play of their goalies Pekka Rinne and Tuukka Rask. Rinne struggled against Team North America and didn’t see the crease again for the remainder of the tournament. Rask was an improvement over Rinne against Sweden but didn’t play very well against the Russians. 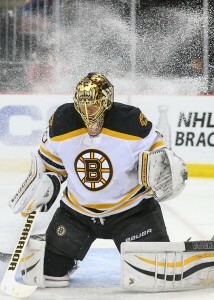 At least two of the three goals scored by Russia could have been stopped had Rask been on his game. A hockey country known so well for producing top end goaltending has to be disappointed with the performances they received. All is not lost for Team Finland. It looks bad now, after a poor performance in the World Cup, but the future is still bright for Finnish hockey. Young players like Laine, Barkov, Ristolainen, Maatta, Vatanen, Puljujarvi, and Sebastian Aho will become the new wave of Finnish hockey. The Finland hockey program will be prepared for the next international tournament, to show that the World Cup was a fluke and they’re still a top-level hockey nation.